Spring brings to mind images of sunny skies and colorful blooms. Here in the Pacific Northwest, we have a few months to go until that kind of spring happens. Currently, we are experiencing lots of rain and gray skies. But that’s what keeps Washington state so beautiful and green, so no complaints! 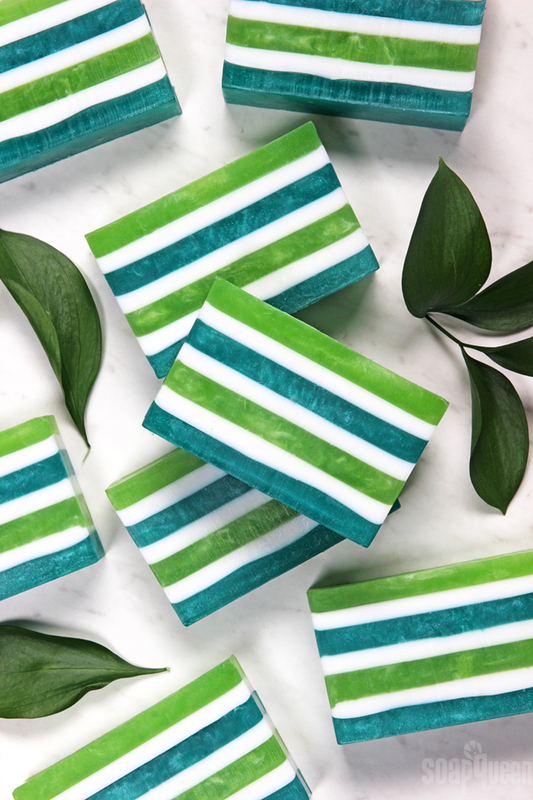 This melt and pour project was inspired by spring in the Pacific Northwest – plenty of green and blue and a fresh ozone scent. 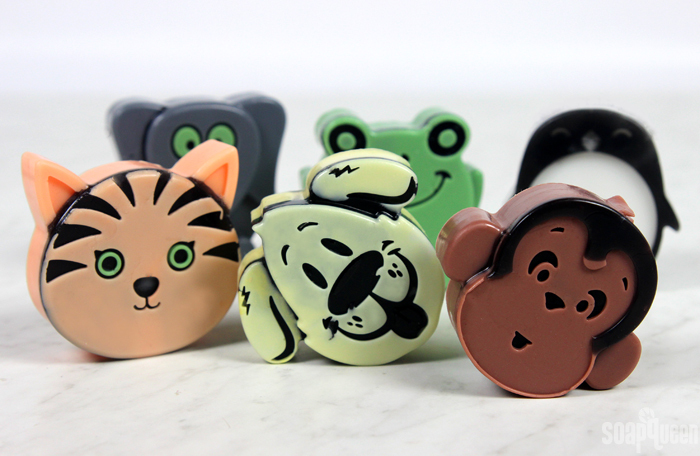 The colors are created with Kermit Green and Aqua Pearl Mica. 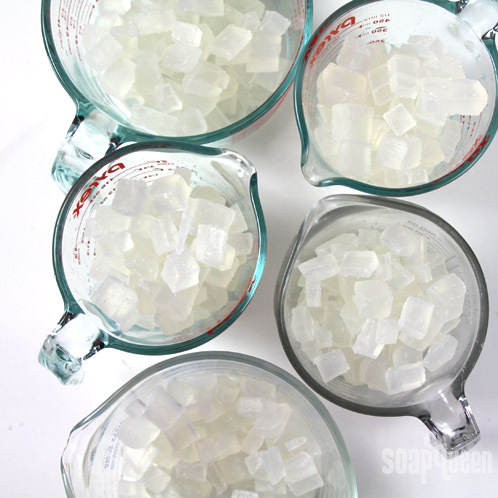 To help the micas mix into the soap easier and prevent clumps, mix them with 99% isopropyl alcohol. 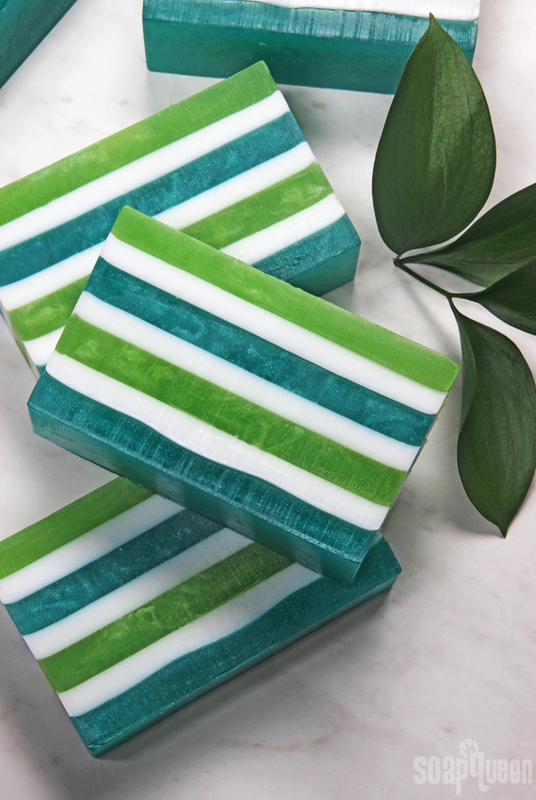 Amazon Lily & Rain Fragrance Oil gives the soap crisp green scent, with notes of fresh cut grass and light florals. 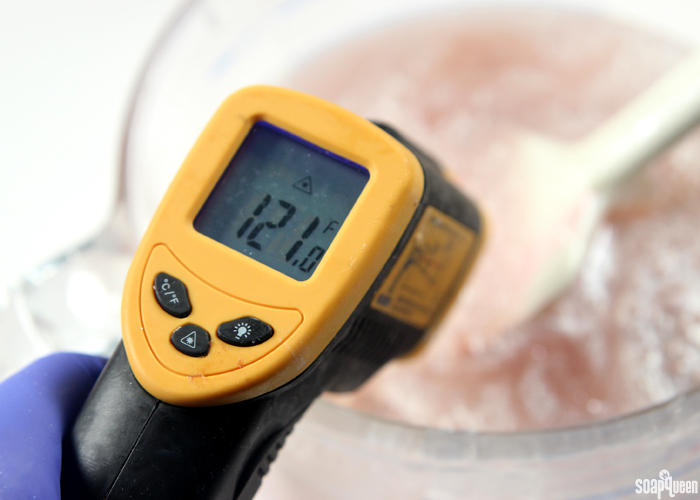 The key to layering melt and pour is a spray bottle of 99% isopropyl alcohol and a thermometer. 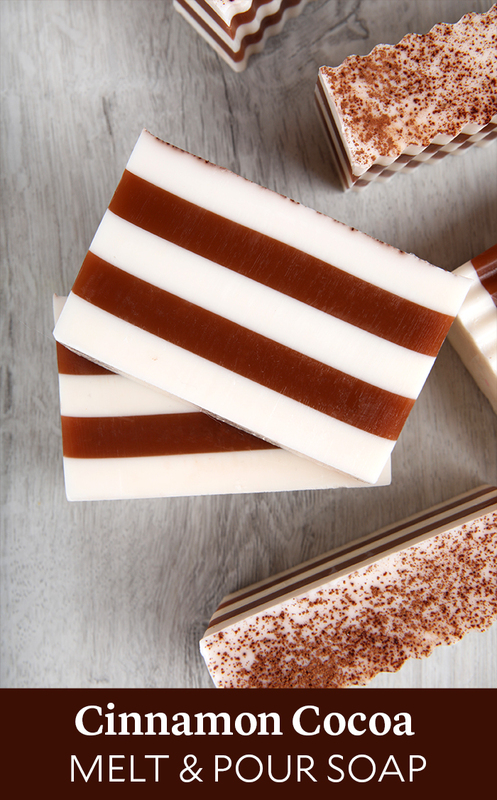 This soap has seven layers and does require some patience. 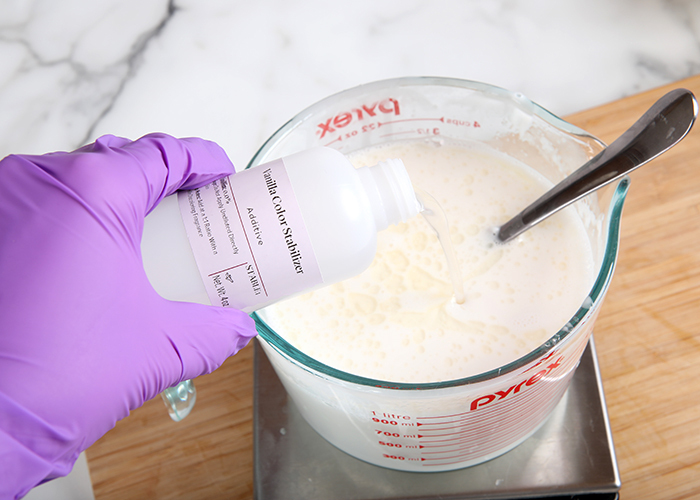 Spraying the soap with 99% isopropyl alcohol before and after each layer helps the layers stick together and gets rid of bubbles. A thermometer comes in handy to make sure each layer isn’t too hot. If a layer of soap is poured while extremely hot, it will melt the layer below. 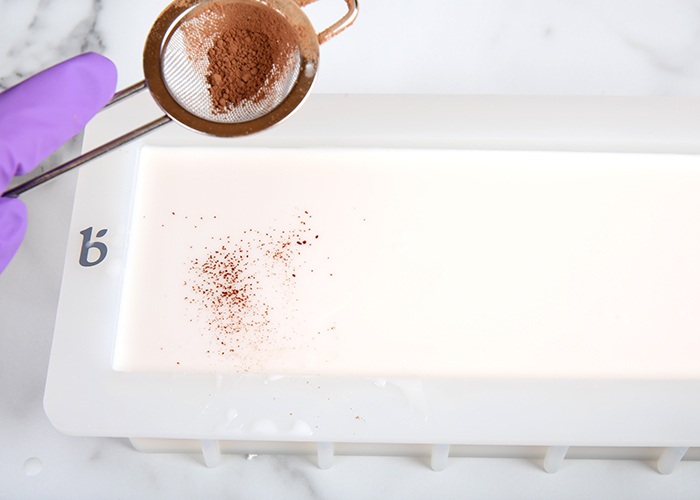 Learn more tips for layering melt and pour here. 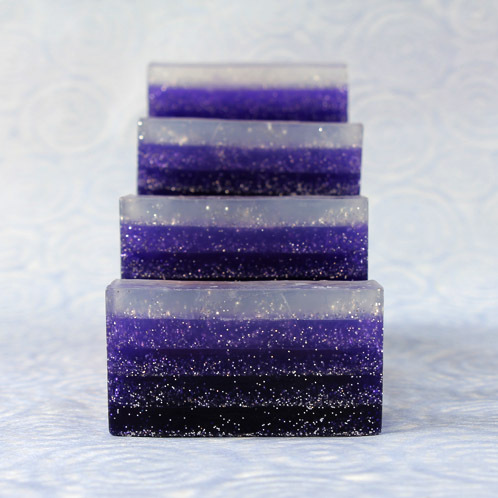 I love making soap with vibrant color, sparkle and embeds. For instance, the Honey Bee Funnel Pour Cold Process Soap or the Rainbow Hearts Melt & Pour. 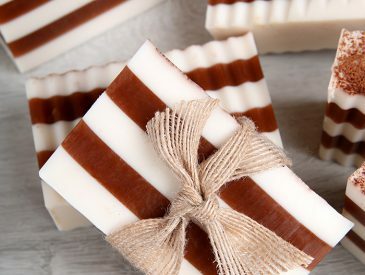 However, it’s nice to switch it up every now and then and make a rustic, simple-looking soap. 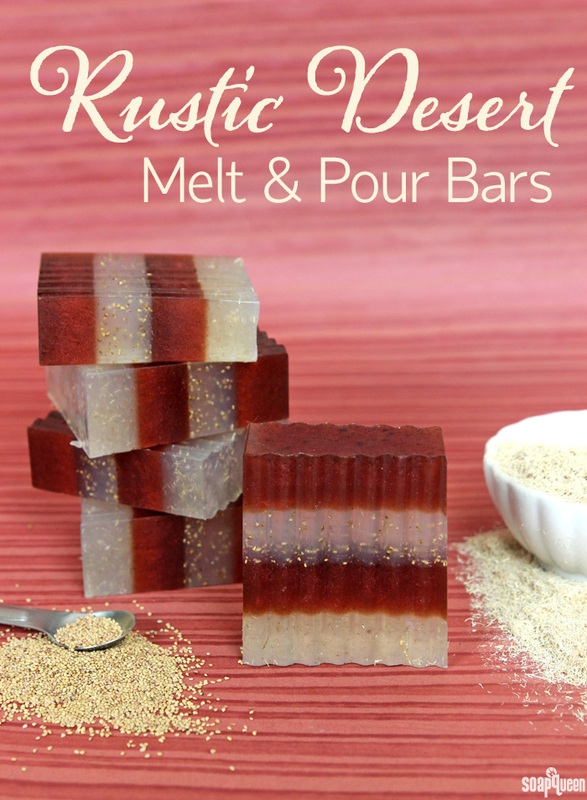 These Rustic Desert Melt and Pour Bars are striking, simple and have exfoliants in them to help with rough summer skin. 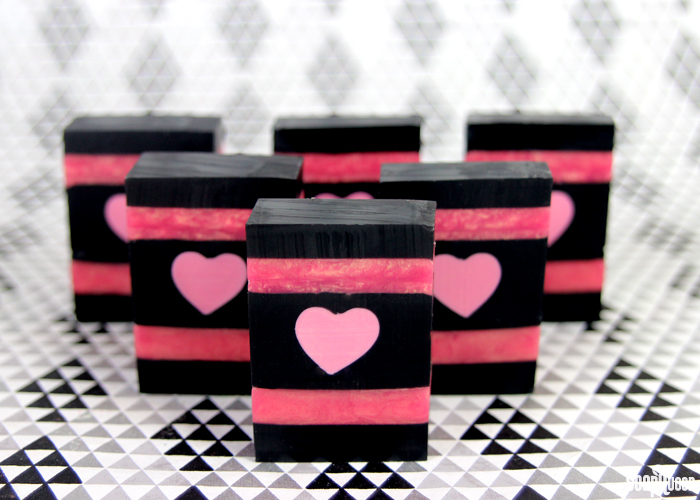 While soap is our first love (and soul mate!) 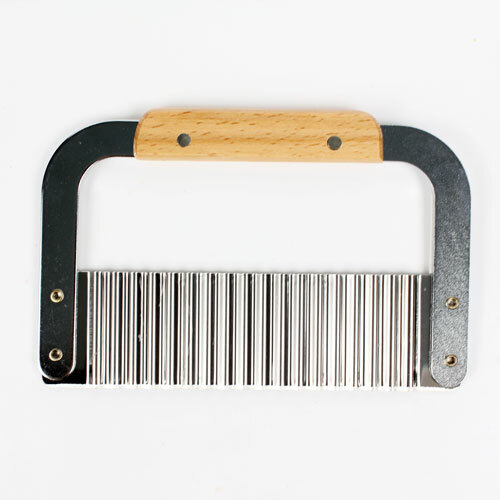 we’re not solely about the soap here at Bramble Berry. 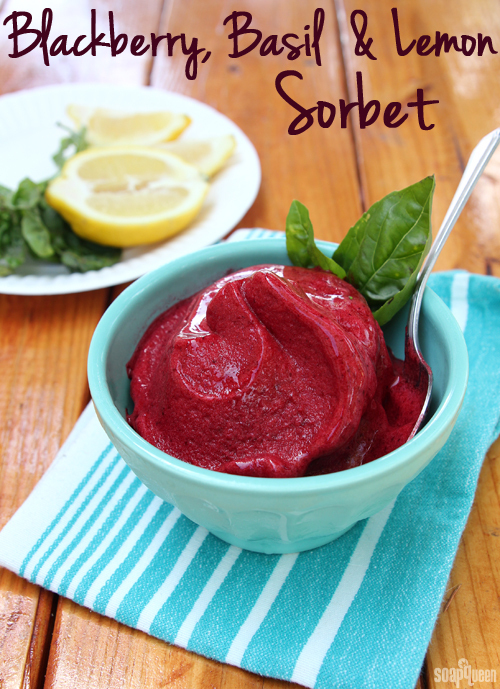 This week there were several non-soapy tutorials and recipes, including a Blackberry, Lemon and Basil Sorbet. Full of sweet blackberries, tart lemon and a hint of earthy basil, this sorbet is an excellent way to stay cool during the hot summer months. 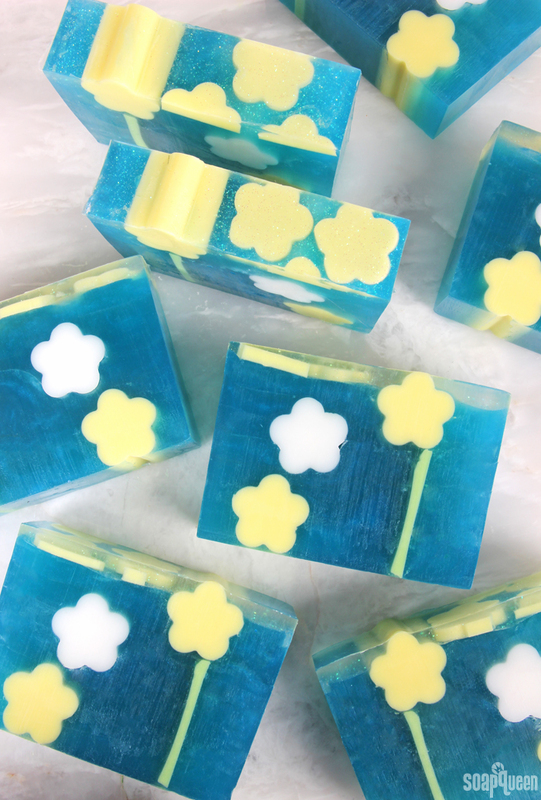 This week, three guest bloggers shared their experiences at the 2014 Handcrafted Soap and Cosmetic Guild conference. Gates from Burly Stone Soap Co. shared his overall impression of the guild as a first time attendee. 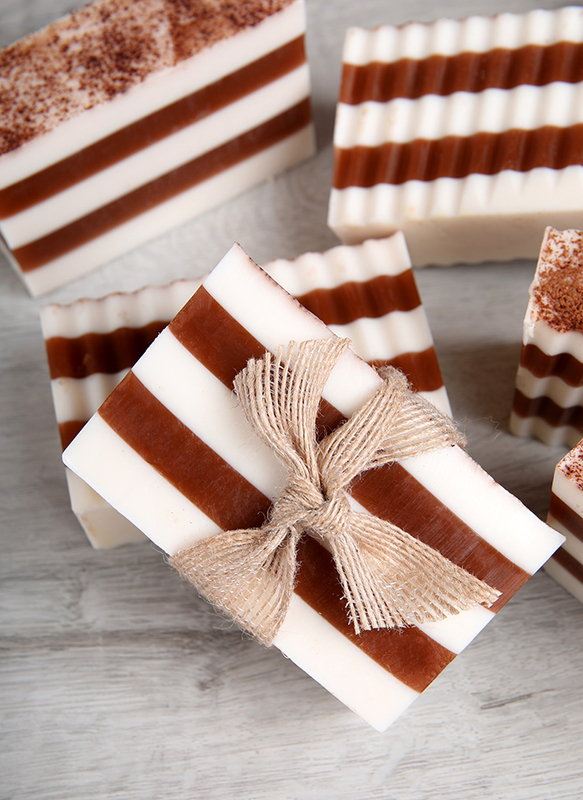 Dawn from Horsing Around Soap shared tips she learned regarding how to price your products. Next, Jean from SoapArt shared what she learned about testing natural colorants in cold process. If you are looking for more business tips, check out the Business Musings category. 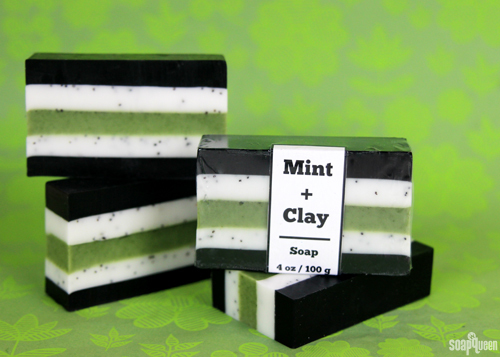 A look at a 2014 Soap Guild session. 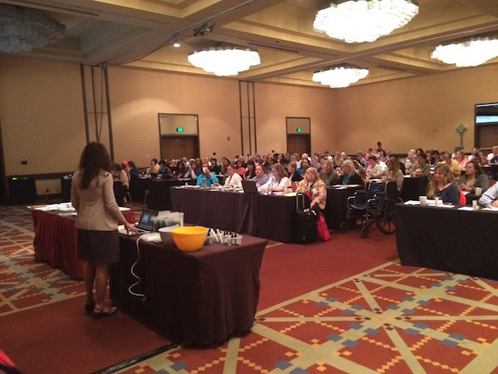 The conference rooms were packed for the 3 day conference, which was held May 20 – 22 in Tucson, Arizona. 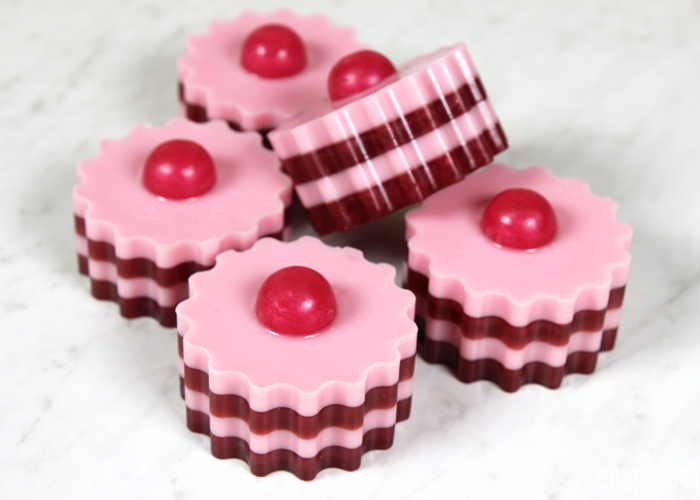 We also shared a tutorial featuring a sweet mold. Featuring the new Doughnut Half Mold, these adorable Strawberry and Vanilla Melt and Pour Doughnuts are a great project for those who love treats. 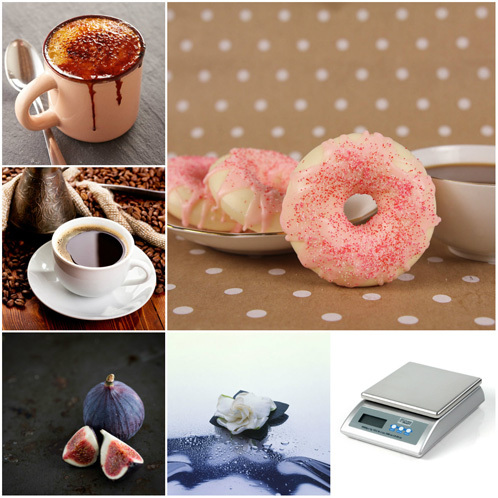 Scented with Vanilla Select and Strawberry Fragrance Oil, these doughnuts look and smell realistic. 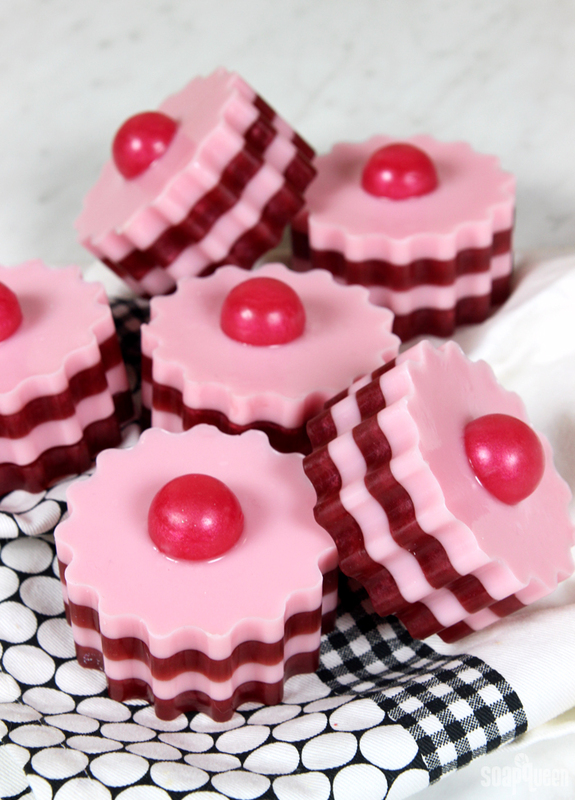 If you love the look of these doughnut soaps, you have the opportunity to win the new Doughnut Half Mold, along with four new fragrance oils and the 13# Stainless Steel Scale. To enter, leave a comment on the Resolution Check In post by Tuesday, June 10, 2014, and let us know about your New Year’s resolution progress. Many of your New Year’s resolutions involved exercising more, and eating more fruits and vegetables. Our Facebook Photo of the Week from Hilary of Slice of Delight was clearly inspired by summery fruits. 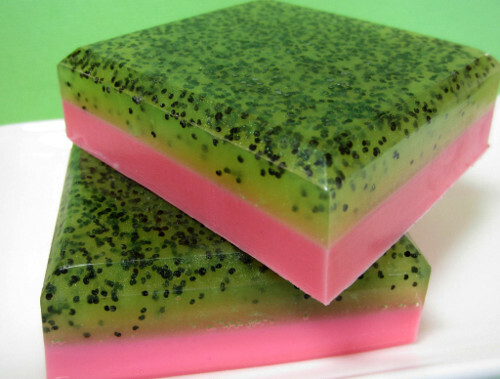 Made with poppy seeds and scented with a fresh strawberry scent, Hilary’s melt & pour Strawberry Kiwi Poppyseed Soap is full of color and texture. We’re all about intricate swirls, lovely layers and exotic techniques, but sometimes you want something simple and elegant. 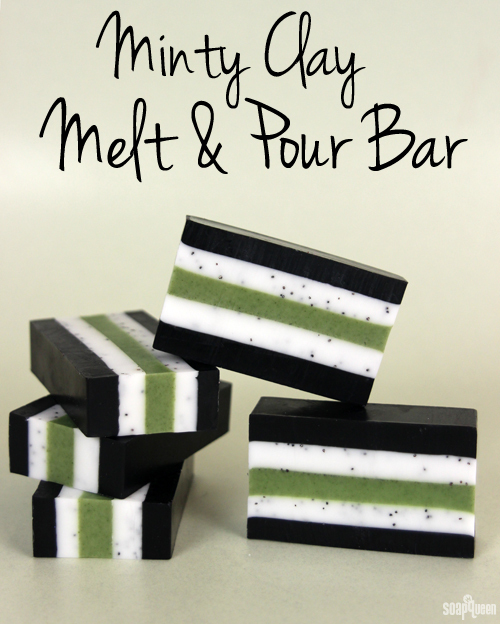 This two-layer soap features a classic black and white color scheme. The key to this technique is keeping the layers smooth and straight. 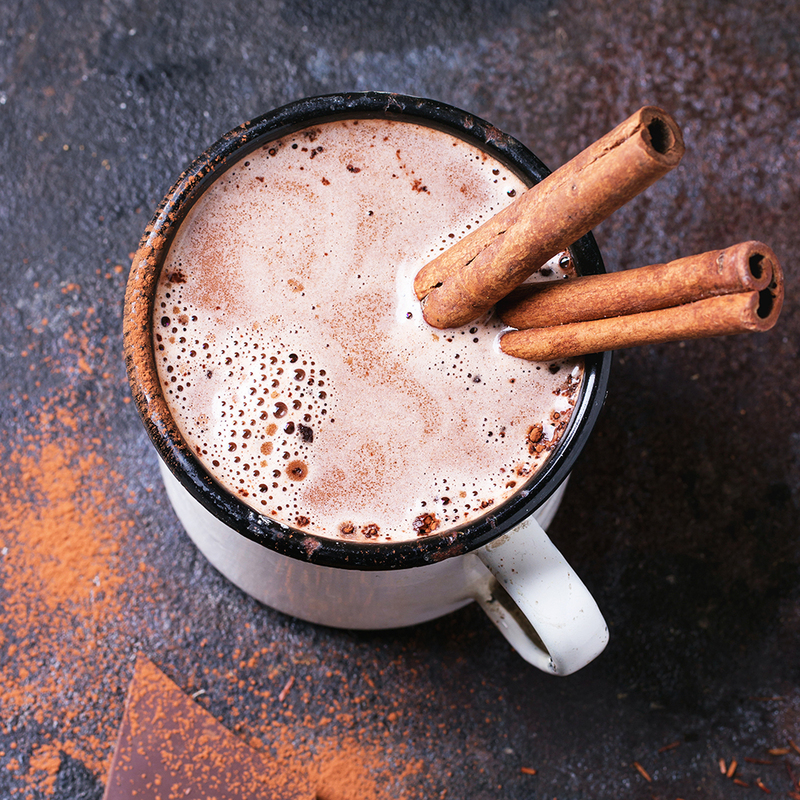 The little something special in this recipe comes from the Bamboo Powder extract, which is a mild exfoliant added to the bottom white layer. 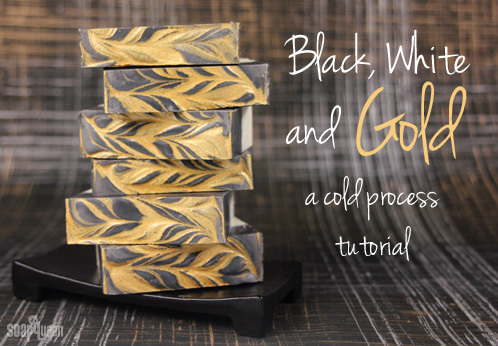 This soap was finished with gold mica painting, which popped beautifully against a black background. Who says simple can’t be pretty? Keep in mind that this soap does have a light grey lather, although it’s almost unnoticeable on your hands. 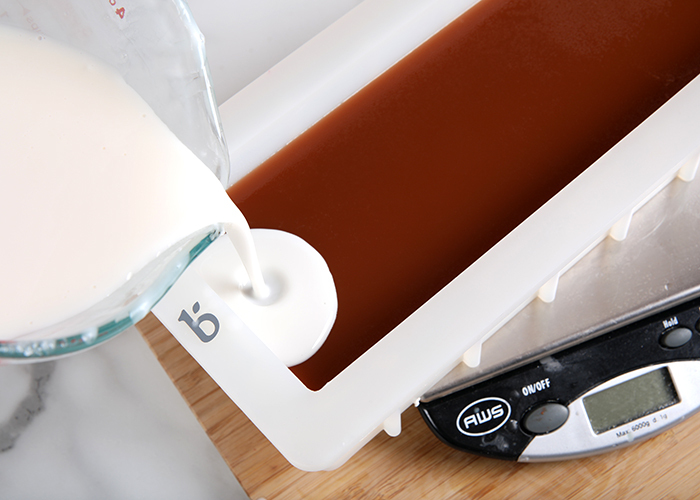 If you’d like a white later, consider adding 1/2 tsp. or even 1/4 tsp. dispersed Black Oxide colorant (less than we used), but keep in mind you won’t end up with the same black color in the photos. Additionally, the gold topped mica won’t last for more than a wash or two, but we still think it’s worth it! 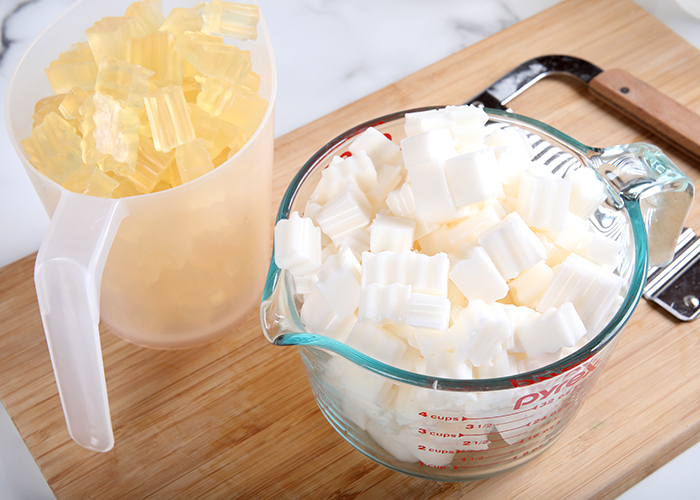 ONE: Cut the Clear Melt & Pour Base into small, about-equally-sized chunks and measure out 9 oz. each into five separate containers. Be sure the containers are microwave safe. 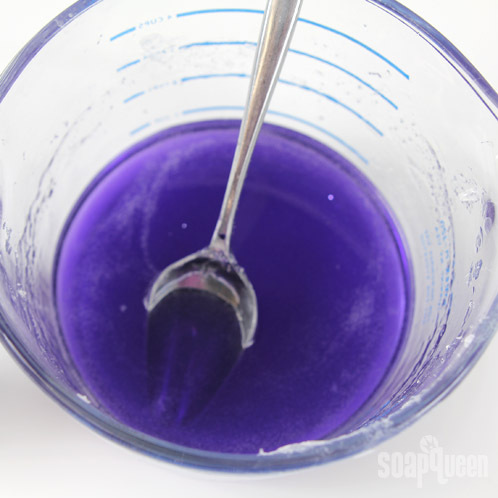 TWO: Melt one of the soap containers in the microwave on 30 second bursts, and then using a dropper, add 3 mL of Violet Fragrance Oil and mix well. THREE: Using a second dropper, color the layer with 6 mL of diluted Easter Purple Lab Color. 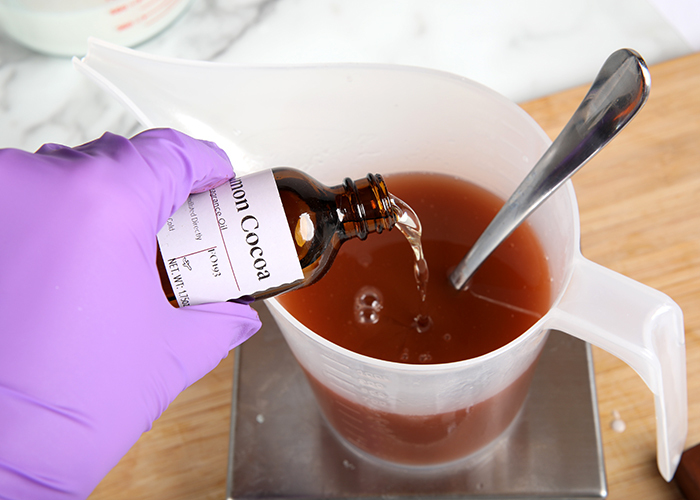 If you’ve never diluted Lab Colors before, check out this post before diving in. 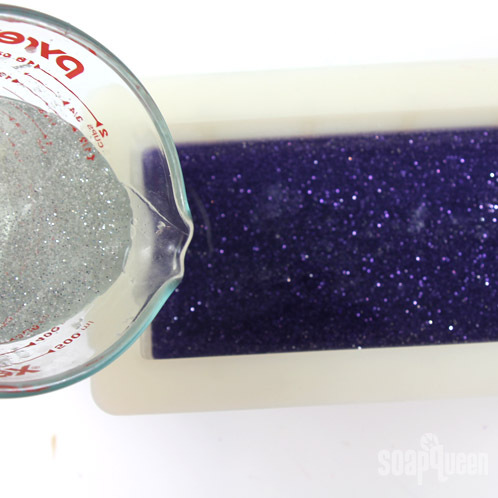 FOUR: Add 2 teaspoons of glitter and mix well, making sure the glitter, fragrance and Lab Color are fully incorporated into the soap. FIVE: Pour the soap into the mold and spray with Isopropyl Alcohol to disperse bubbles. SIX: Melt a second soap container in the microwave on 30 second bursts. Fragrance with 3 mL of Violet Fragrance Oil and add 3 mL of diluted Easter Purple Lab Color. 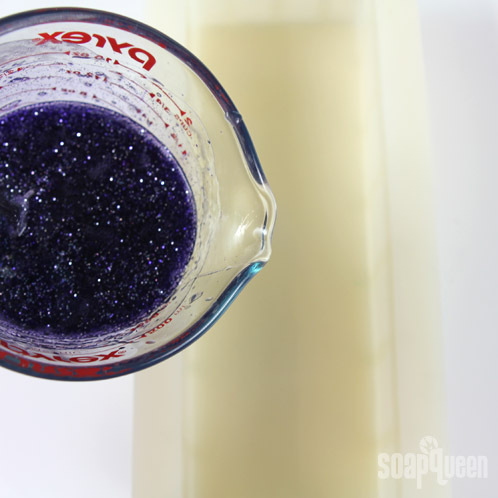 SEVEN: Add 1.5 teaspoons of glitter and mix well, making sure the glitter, fragrance and Lab Color are fully incorporated into the soap. EIGHT: Spray the first layer liberally with Isopropyl Alcohol. 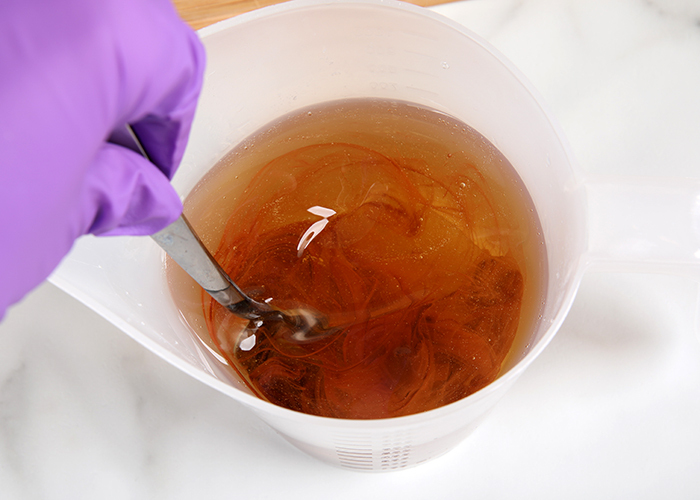 This will help the second layer of soap adhere and prevent separation between the layers. When the first layer has formed a thick skin and when the second layer has cooled to 130 degrees or below, pour the second layer into the mold. Spray with Isopropyl Alcohol to disperse bubbles. NINE: Melt a third soap container in the microwave on 30 second bursts. Fragrance with 3 mL of Violet Fragrance Oil, color with 2 mL of diluted Easter Purple Lab Color and add 1 teaspoon of glitter. TEN: Spray the second layer liberally with Isopropyl Alcohol. 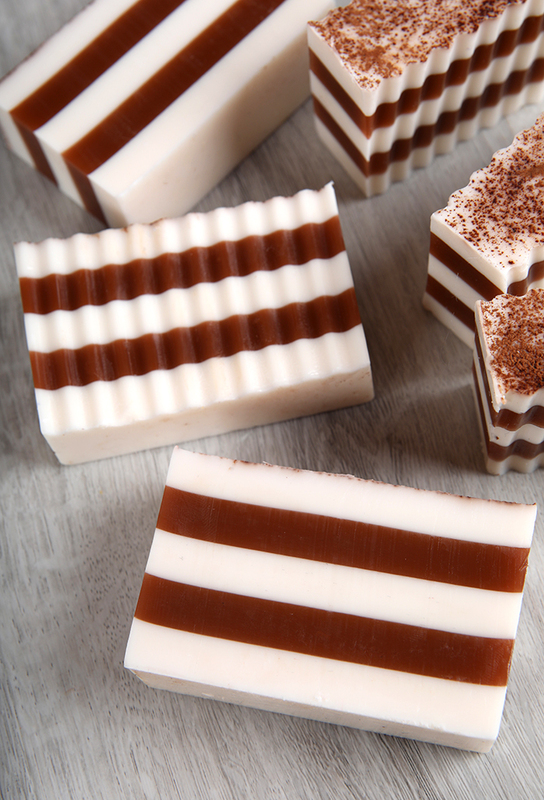 This will help the third layer of soap adhere and prevent separation between the layers. 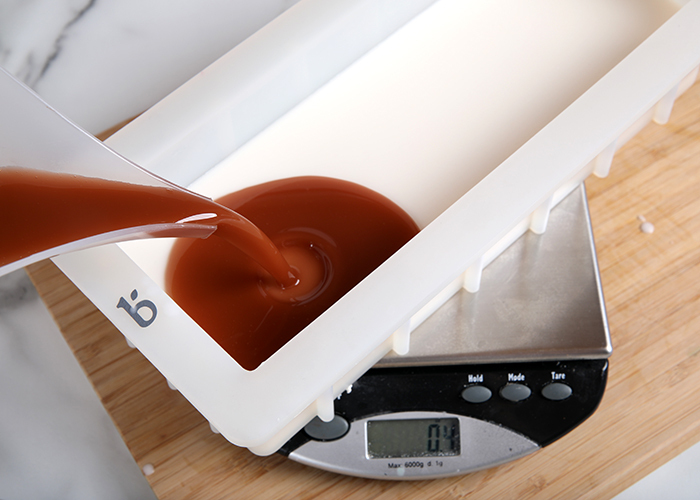 When the second layer has formed a thick skin and when the third layer has cooled to 130 degrees or below, pour the third layer into the mold. 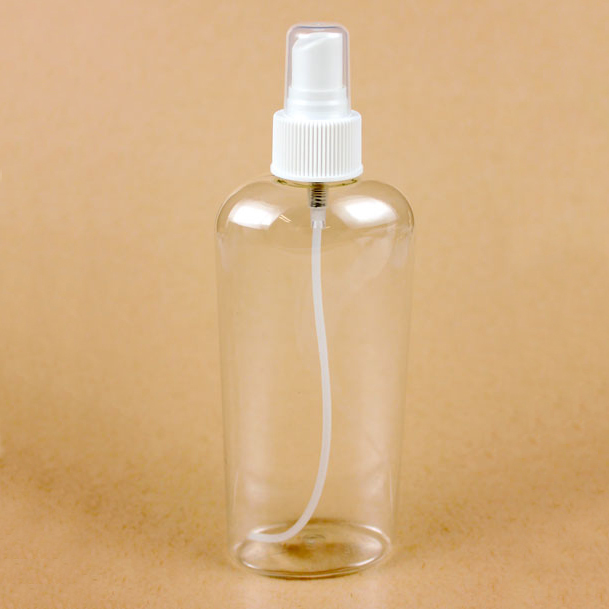 Spray with Isopropyl Alcohol to disperse bubbles. ELEVEN: Melt a fourth soap container in the microwave on 30 second bursts. Fragrance with 3 mL of Violet Fragrance Oil, color with 1 mL of diluted Easter Purple Lab Color and add 1/2 teaspoon of glitter. Spray the third layer liberally with Isopropyl Alcohol. 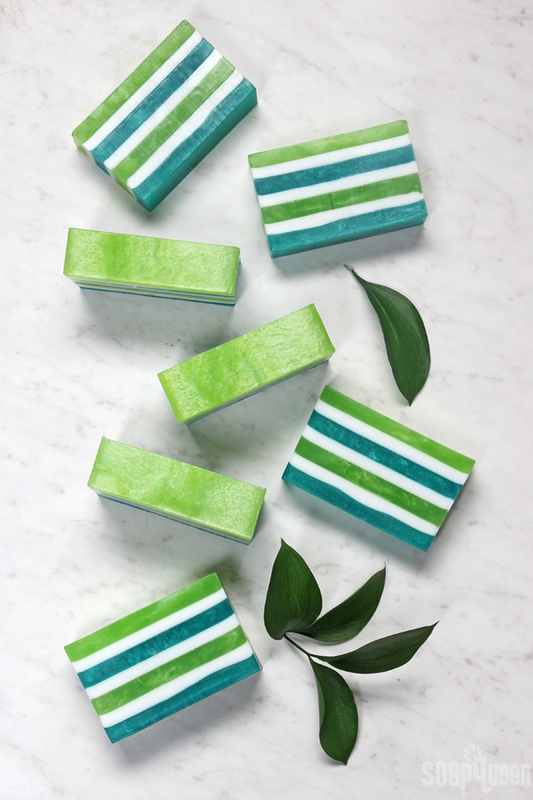 This will help the fourth layer of soap adhere and prevent separation between the layers. 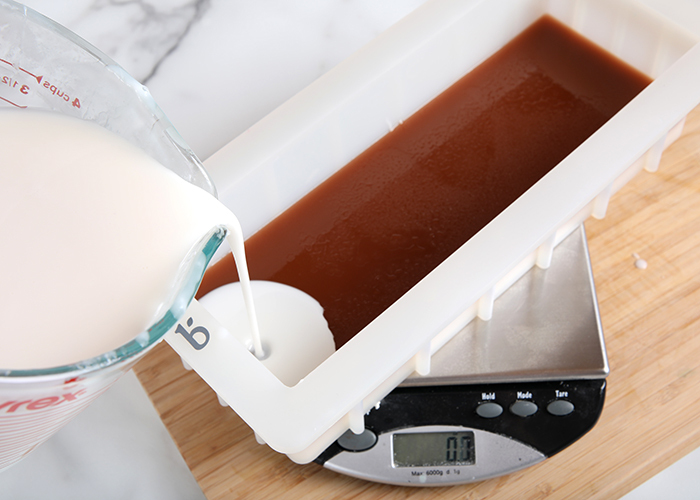 When the third layer has formed a thick skin and when the fourth layer has cooled to 130 degrees or below, pour the fourth layer into the mold. 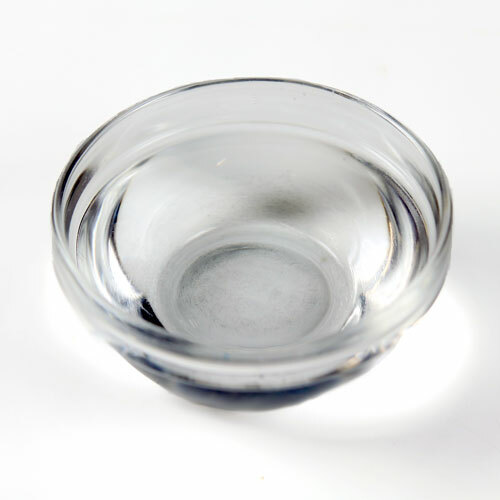 Spray with Isopropyl Alcohol to disperse bubbles. TWELVE: Melt the final soap container in the microwave on 30 second bursts. 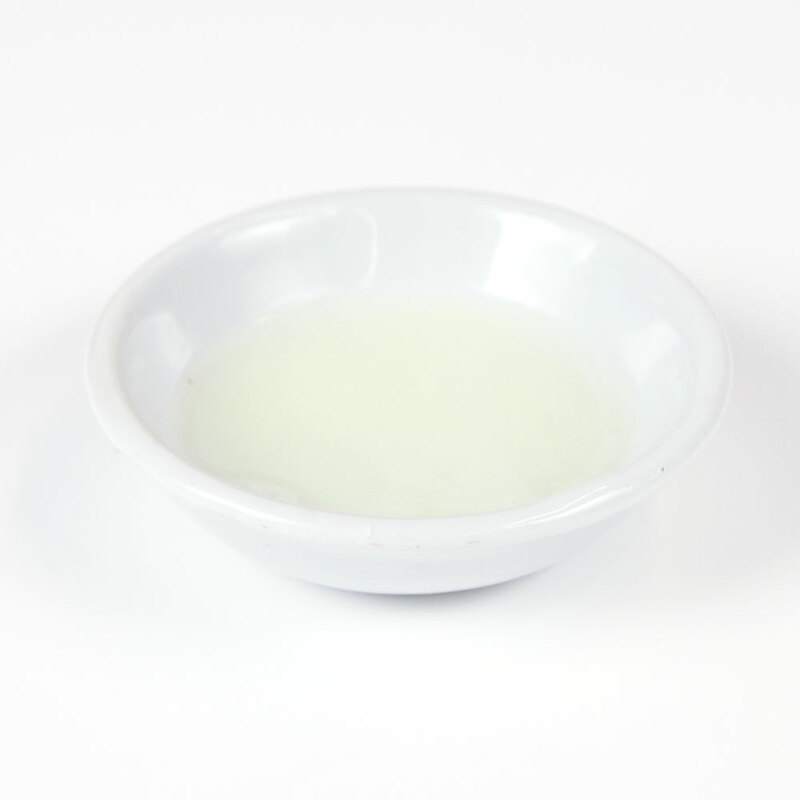 Because this layer needs to remain clear, do not add any Lab Color or fragrance oil. 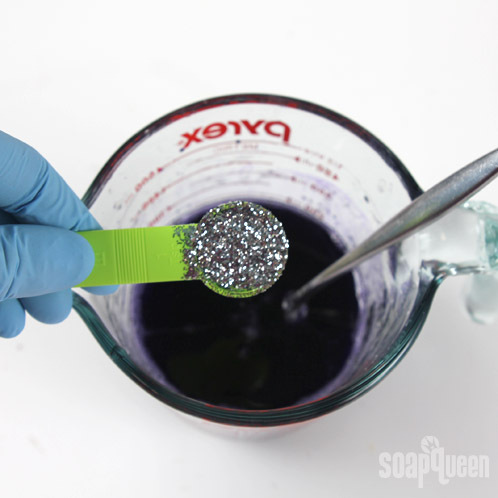 Add 1/4 teaspoon of glitter. Spray the fourth layer liberally with Isopropyl Alcohol. This will help the final layer of soap adhere and prevent separation between the layers. 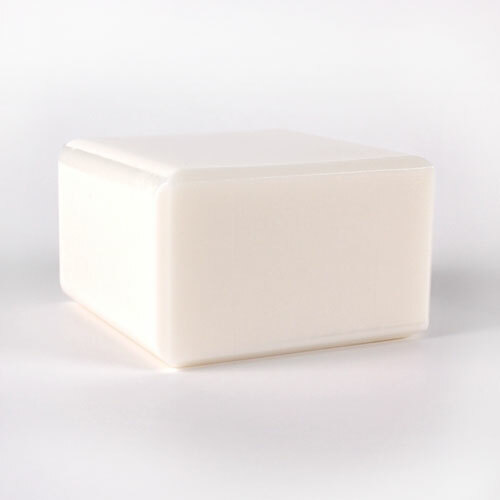 When the fourth layer has formed a thick skin and when the final layer has cooled to 130 degrees or below, pour the clear layer into the mold. Spray with Isopropyl Alcohol to disperse bubbles. 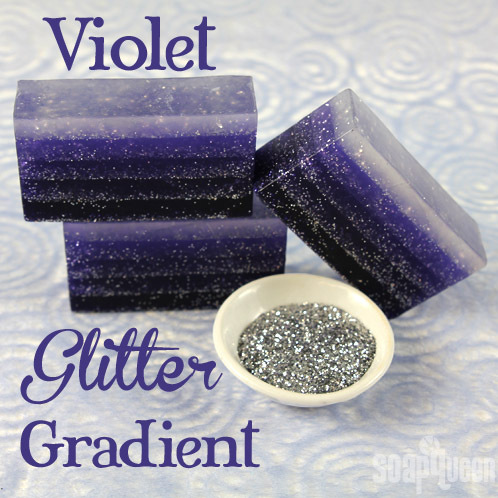 Wait 24 – 48 hours for the soap to harden before enjoying your glitter gradient soap! 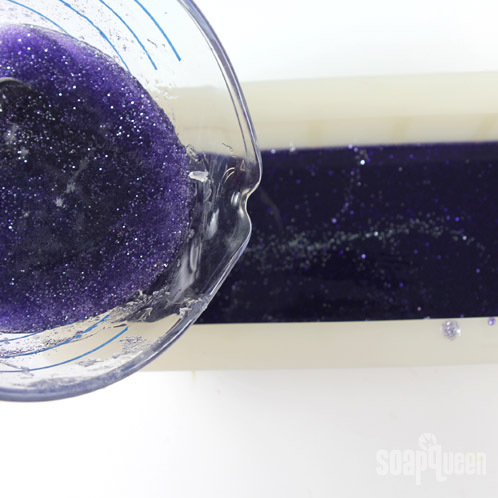 This Violet Glitter Gradient Soap Tutorial features lots of layers and glitter! 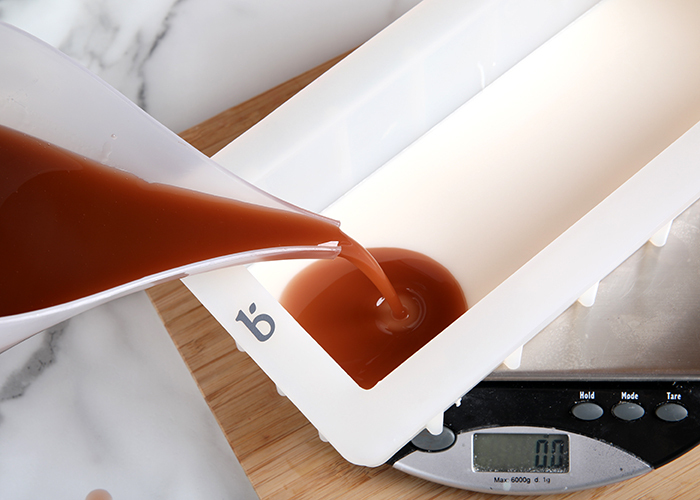 Cut the Clear Melt & Pour Base into small, about-equally-sized chunks and measure out 9 oz. each into five separate containers. Be sure the containers are microwave safe. 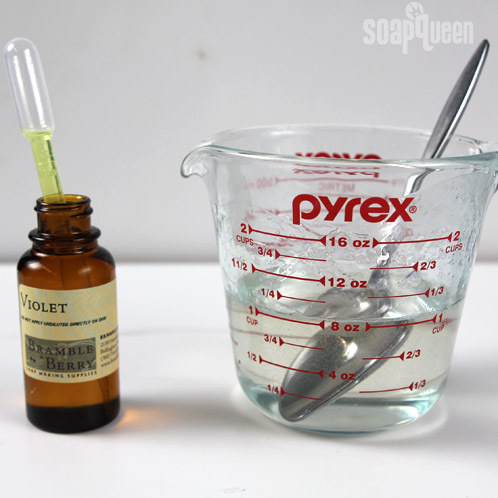 Melt one of the soap containers in the microwave on 30 second bursts, and then using a dropper, add 3 mL of Violet Fragrance Oil and mix well. 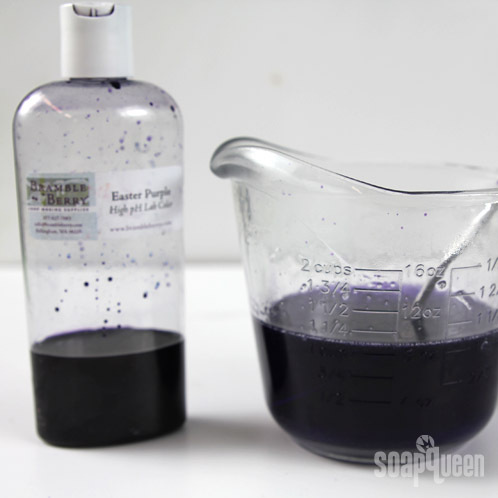 Using a second dropper, color the layer with 6 mL of diluted Easter Purple Lab Color. 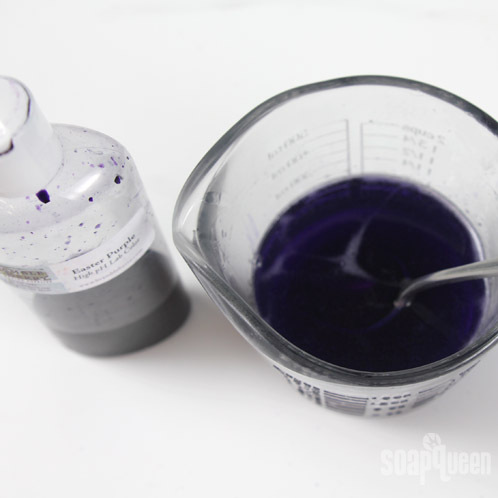 If you’ve never diluted Lab Colors before, check out this post before diving in. 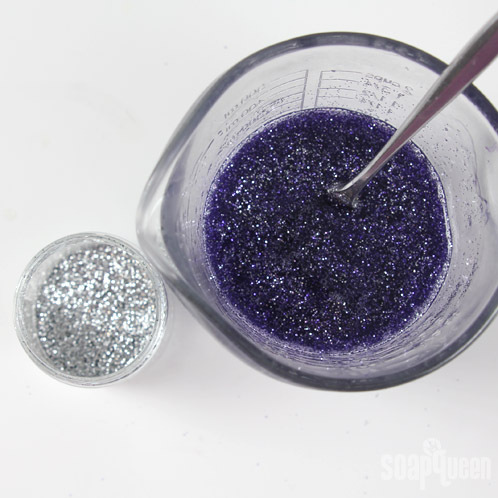 Add 2 teaspoons of glitter and mix well, making sure the glitter, fragrance and Lab Color are fully incorporated into the soap. Pour the soap into the mold and spray with Isopropyl Alcohol to disperse bubbles. Melt a second soap container in the microwave on 30 second bursts. Fragrance with 3 mL of Violet Fragrance Oil and add 3 mL of diluted Easter Purple Lab Color. 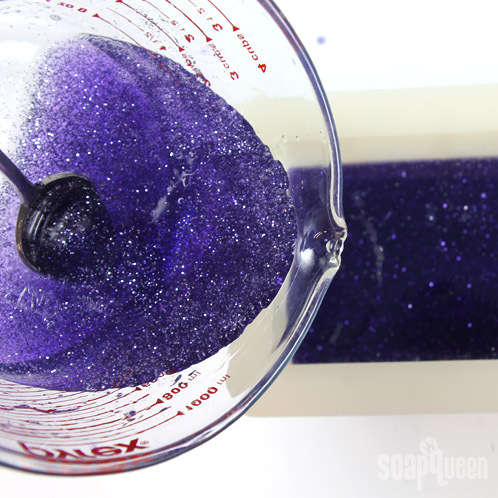 Add 1.5 teaspoons of glitter and mix well, making sure the glitter, fragrance and Lab Color are fully incorporated into the soap. Spray the first layer liberally with Isopropyl Alcohol. 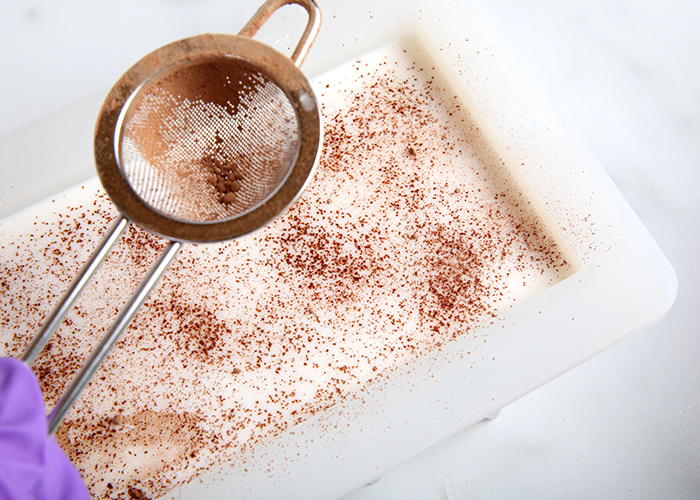 This will help the second layer of soap adhere and prevent separation between the layers. When the first layer has formed a thick skin and when the second layer has cooled to 130 degrees or below, pour the second layer into the mold. Spray with Isopropyl Alcohol to disperse bubbles. Melt a third soap container in the microwave on 30 second bursts. Fragrance with 3 mL of Violet Fragrance Oil, color with 2 mL of diluted Easter Purple Lab Color and add 1 teaspoon of glitter. Spray the second layer liberally with Isopropyl Alcohol. 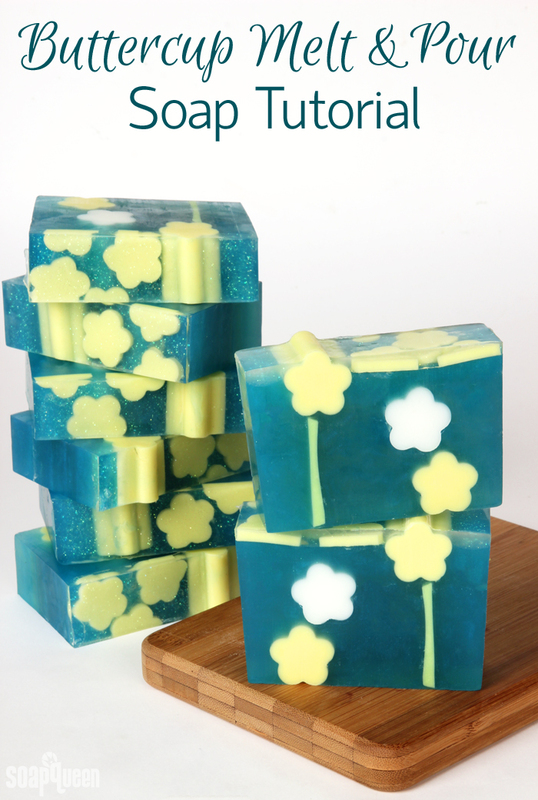 This will help the third layer of soap adhere and prevent separation between the layers. 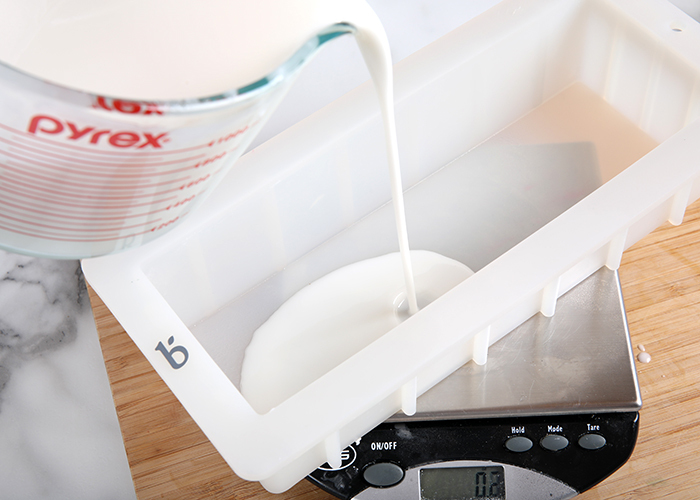 When the second layer has formed a thick skin and when the third layer has cooled to 130 degrees or below, pour the third layer into the mold. Spray with Isopropyl Alcohol to disperse bubbles. 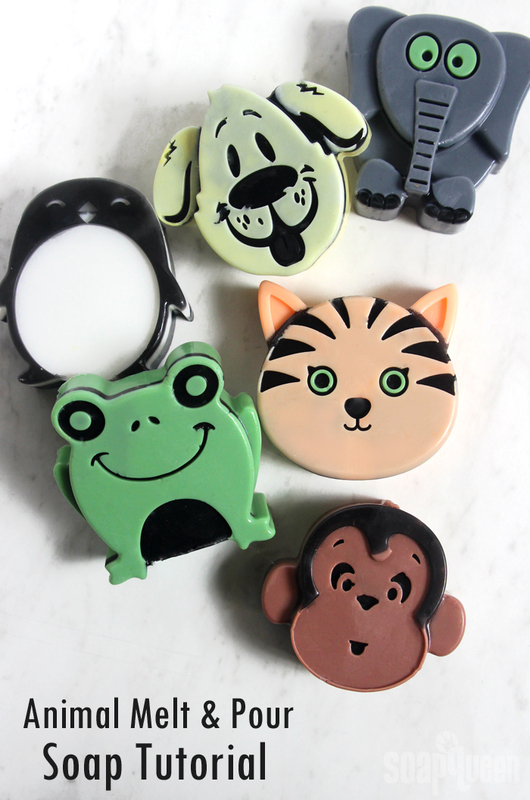 Melt a fourth soap container in the microwave on 30 second bursts. Fragrance with 3 mL of Violet Fragrance Oil, color with 1 mL of diluted Easter Purple Lab Color and add ½ teaspoon of glitter. Spray the third layer liberally with Isopropyl Alcohol. 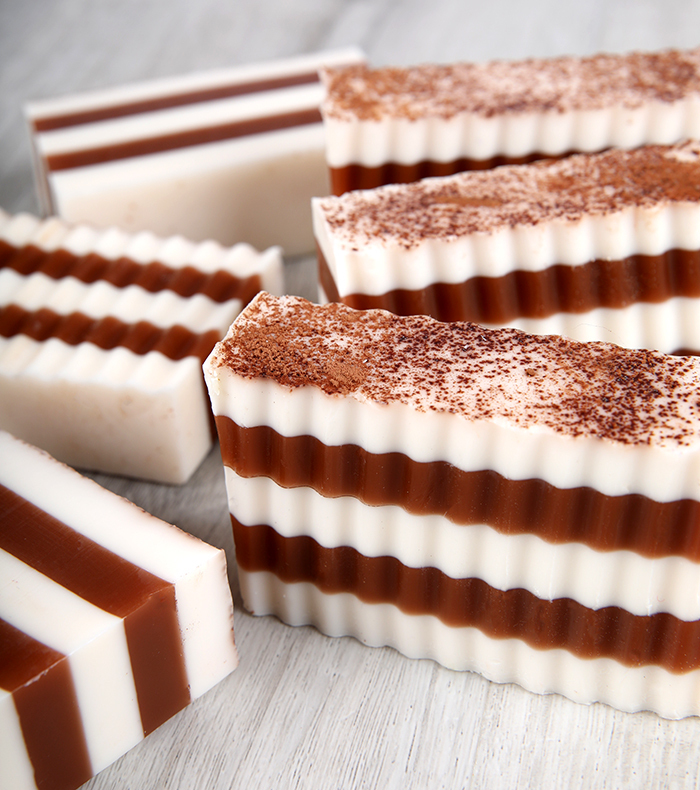 This will help the fourth layer of soap adhere and prevent separation between the layers. 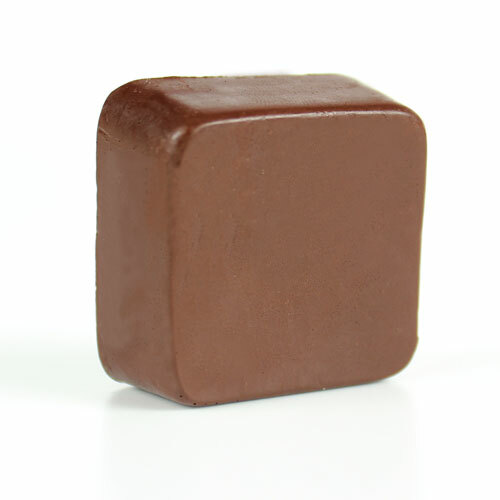 When the third layer has formed a thick skin and when the fourth layer has cooled to 130 degrees or below, pour the fourth layer into the mold. Spray with Isopropyl Alcohol to disperse bubbles. Melt the final soap container in the microwave on 30 second bursts. 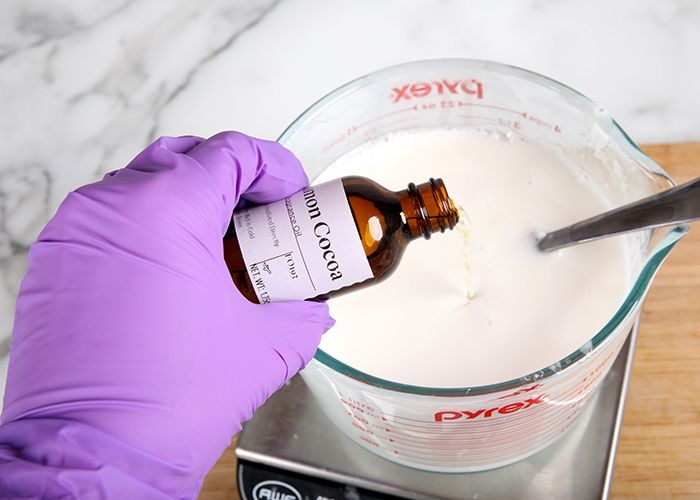 Because this layer needs to remain clear, do not add any Lab Color or fragrance oil. Add ¼ teaspoon of glitter. Spray the fourth layer liberally with Isopropyl Alcohol. 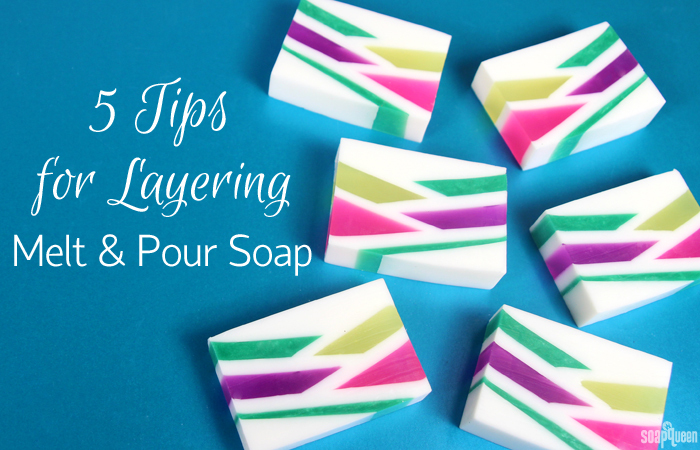 This will help the final layer of soap adhere and prevent separation between the layers. 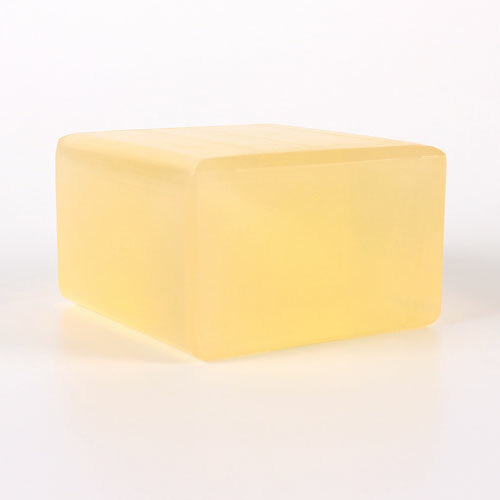 When the fourth layer has formed a thick skin and when the final layer has cooled to 130 degrees or below, pour the clear layer into the mold. 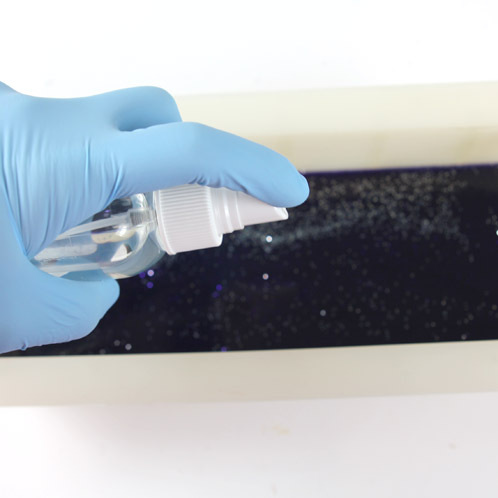 Spray with Isopropyl Alcohol to disperse bubbles.